I can’t believe March is coming to an end already! This month has flown by! I am ok with that though because that means that our spring barn sale is getting closer! Something new we added to the online portion of our market this March was our “item of the month”. We LOVE helping you find affordable unique pieces for your home and the item of the month is one more way we hope to serve you in that category! 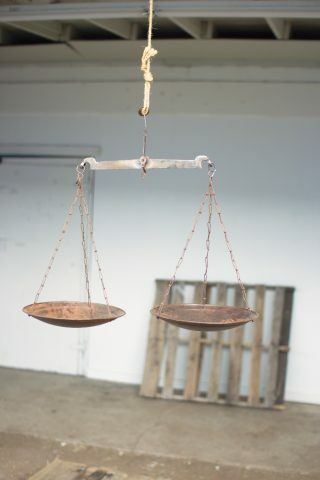 Our March item of the month is a hanging balance scale. It is not antique, but is antique inspired and has a lot of rustic charm that will make it a perfect accent piece in your home that blends well with your other antique and vintage finds. Because it is the “item of the month” we are able to offer it to you and a huge discount. The scale retails for almost 60 dollars, but we are offering in March for 30! 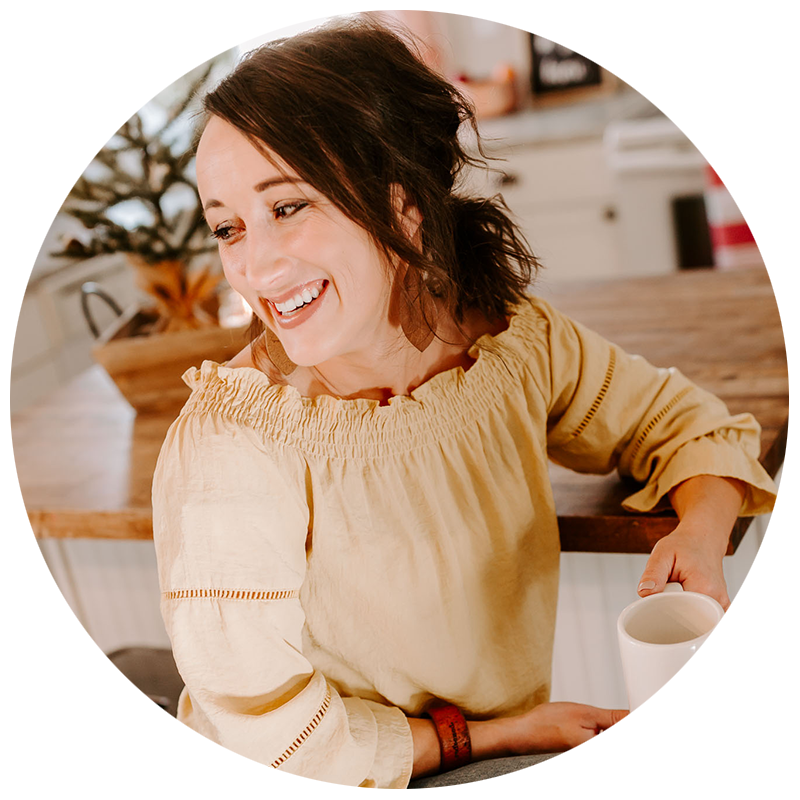 Today I thought I would share some great ideas for how to style it once you get it home! With it being spring and so many of us wanting to add life and green to our home and porches the fist idea I have is to add to a porch! Or you could do a fern for some greenery like Style Me Pretty shared. 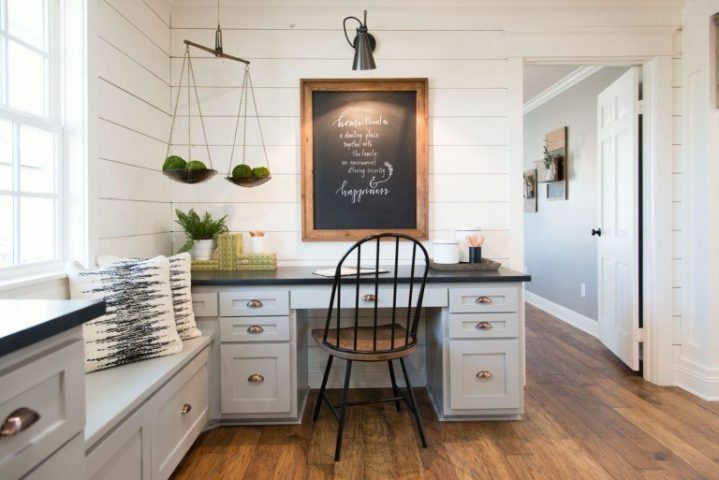 You could add the scale to your kitchen as well and use it to hold fresh fruit! 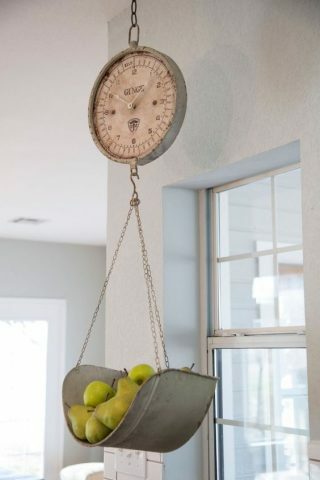 A hanging scale is so versatile! It can go in about any room in your home! We have seen them in bathrooms holding towels even! Stick a beautiful draping plant in it and you can use it to add a little green to anywhere! 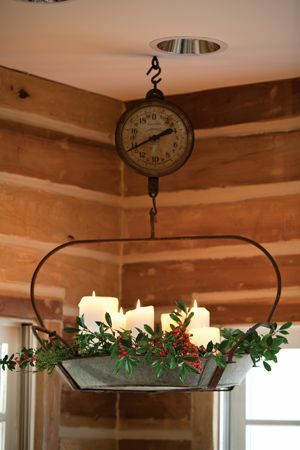 We love the idea of transitioning the decor in your scale from season to season. Here is a photo of the scale I have in my kitchen with pinecones and greenery for Christmas and winter. The scale we have available on our website is flatter on the bottom so you could even add a candle to your greenery like The Cottage Journal shared. 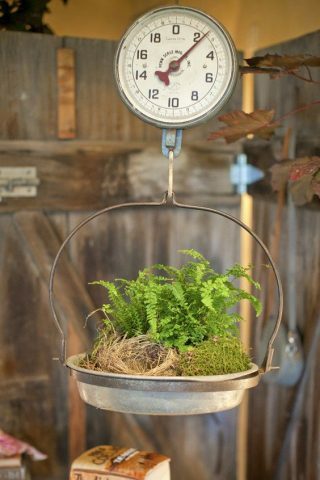 If you are worried about keeping something alive your scale you could do something like the moss balls Joanna Gaines did here in the Carriage house. Putting something faux in the your scale makes it available to put in a room like an office or a room with not a lot of natural light. 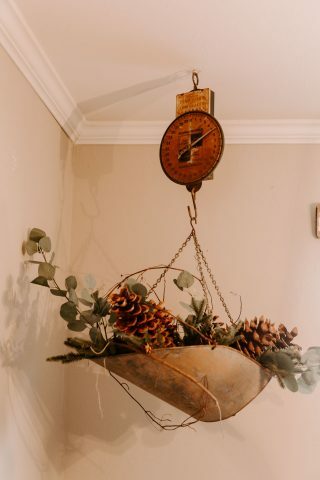 Hanging something from the ceiling like our scale is a great way to bring the eye up when viewing a room, it helps you to take in the whole room and it’s details and not just what is at eye level. Our scale is actually darker in person! It is distressed and gives you a feel of something from days past. If you want to purchase one while they are on sale you can go here. 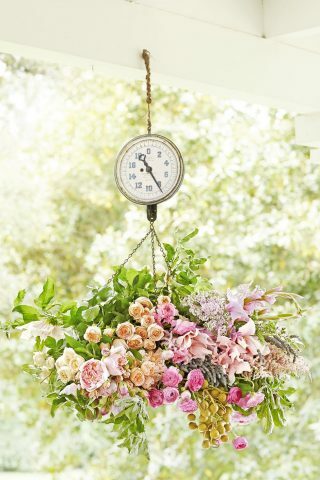 I can’t wait to see how y’all style the scale in your homes! We are already preparing for our April item of the month and would love to hear what type of items you are on the hunt for to add to your home decor! Leave us a comment below and we will be on the lookout for that special piece for you!